Home/Binance/How do I Trade Cryptocurrencies on Binance? Trading Cryptocurrencies have gotten a bad rep. I see amateurs bragging how they made hundreds of thousands overnight. Some even claim to have made millions. Where are all of them now? First they tell you how easy it is, then they say you don’t need to understand all the ins and outs of how cryptocurrency works. Don’t get suckered in by all the fantastical claims. Focus on getting better by learning first-hand about Bitcoin and Crypto and don’t just aim at making a lot of money overnight. Today we can’t magically succeed. But you can get better as you study and do your own research. What is my favorite exchange platform for Cryptocurrencies? Why is Binance so many people’s favorite exchange? It has no minimum deposits or withdrawal requirements like other platforms. It charges a trading fee of 0.1% of the coins you purchased and can be halved to 0.05% if you have BNB in your account. You can withdraw up to 2 BTC/day which means you don’t need to submit any photo identification. Withdrawal fees are reasonable and updates accordingly. 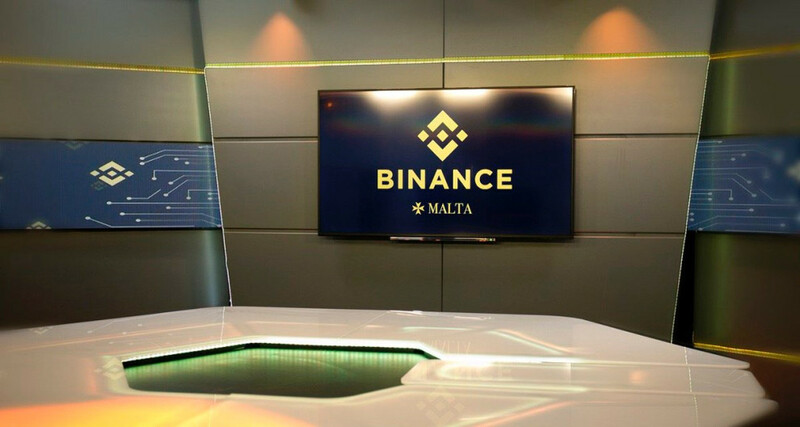 Its HQ is in Malta, where a robust and transparent crypto regulatory climate ensures investors money is safe. You can make a killing with its referral program. It has a competitions and benefits announced from time to time. It creates a lot of positive vibes for the community as a whole. I’ve come across some other popular exchanges too, but most of them has a pathetic trading limit for non-verified accounts. And sometimes it takes days to weeks to receive any feedback on the ID verification process. 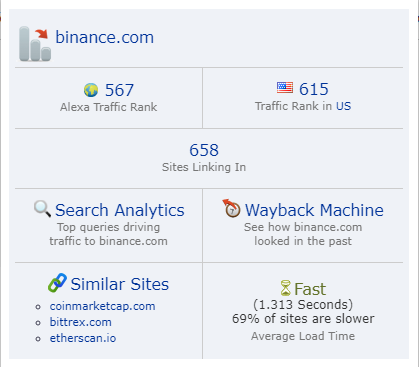 I find Binance to be the easiest of platforms to navigate and manage. Aside from that, you get reassurances by the CEO himself on twitter. 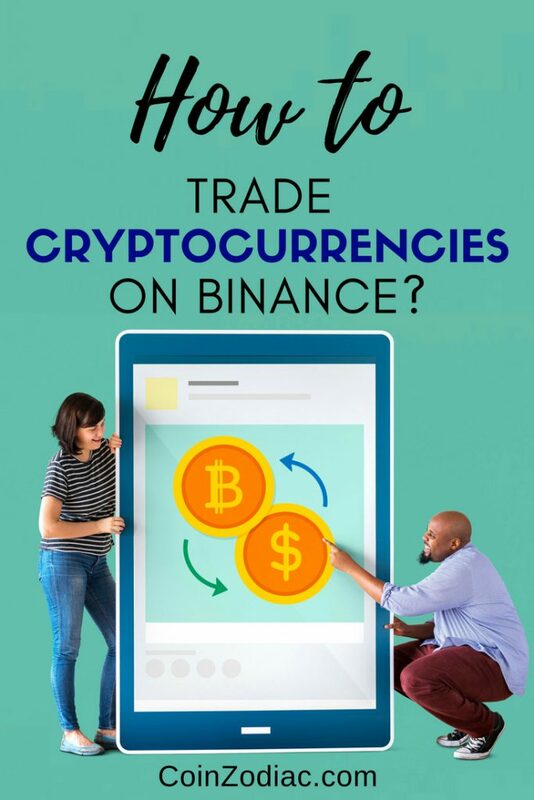 But before you can begin to start trading on the Binance platform, you will first need to learn how to buy some Bitcoin on Binance to trade with. If you want to know more & how CZ the CEO of Binance went on to start a Billion dollar Crypto exchange in less than 7 months, read this Special magazine issue right here. Read this guide to find out how to transfer my Coins from Changelly to Binance. Once you get your hands on some Bitcoin, you can start trading inside your Binance account that you’ve just registered. With Binance you have access to hundreds if not thousands of other Cryptocurrencies aside from the major ones like Bitcoin, Litecoin or Ether. …And that is also one of the main reasons why if there’s only one exchange you can use, make sure its Binance, because they got you covered. Register to Start Trading Crypto Now! Cryptocurrency trading on Binance is pretty straightforward once you understand what each window panel represents. The only difficult part is identifying the scam coins from the legit ones. And that is the secret you need to unlock to achieve crypto stardom. Your safest bet would be in the top 20 Cryptocurrency market cap. If you attempt to find the next Bitcoin outside the Top 100, I wish you all the best of luck because there’s a high chance you are just throwing your money away. No matter what promises and vast riches you’ve been told, do not ever take a bet you cannot afford to lose. Cryptocurrencies is a disruptive technology unlike any other technology I’ve seen since the internet was created. There’s always risks and concerns involved, but I’ve learnt to be patient and not pay any attention to any rumors or FUD. Always identify the Cryptocurrencies that solve major problems that will have an infinite demand but limited in supply. What kinds of risks are involved investing this early into Cryptos? Network scaling debate, Government regulation, Technology development… etc. By investing at such at early stage, with the likes of Tim Draper and Peter Thiel, you’re getting compensated with a very high potential return for taking all those risks now. Because 5 to 10 years from now, it will become a very established asset class, and the volatility will be much lower than it is today. The potential returns you will benefit from will echo all the risks you took early on. Trading Cryptocurrencies depends on your risk tolerance. Are you willing to take on high risks for that high potential return? Never ever take a bet you can’t afford to lose. If you choose to wait and go to the beach and let all these rules and regulation play out, you will risk the accumulation. The cost of entry is going to go up up up the longer you wait, because crypto is the internet of money. And the internet is never ever going away. Unless of course our whole civilization collapses, then your paper currency would be deemed useless anyway. Always remember, nobody has a crystal ball at hand. Nobody smart will claim to say so. The best TA will tell you otherwise, but they get it wrong most of the time and they only need to get it right once to get global recognition. Binance is a Crypto to Crypto exchange. So that means you cannot trade in your USDs or Euros for Bitcoin. When CZ started, he was advised by some close friends to not dabble with fiat currencies because the local governments are pretty tough on businesses that act as intermediary monetary instruments. In fact, they managed to survive and escape regulatory pressure precisely because of this. This gives them more space and time to develop and strengthen their platform. So you MUST first find an exchange in your country that allows you to buy some Bitcoin in your native currency. Why is Binance a Revolutionary Exchange? In the beginning, just trying to buy Bitcoin is a hassle, not to mention the other Cryptocurrencies. You had to know what you’re doing, if not you might as well throw your own money down the well. It was unimaginably difficult. But because of that the early adopters benefited when a surge in demand followed. Trading cryptos today is so much easier. Having said that, its still mindbogglingly difficult for everyday people. But it has since come a long way within a short period of time. That’s why when Binance was created by CZ, a genius in creating high velocity trading platforms for Wall Street, he immediately saw the potential of creating a platform just for Cryptocurrencies. He made the leap of faith and never looked back. CZ started Binance out in China, then Japan. But as regulatory pressure mounted, CZ decided to move their headquarters to Malta, where it was quickly becoming a haven for blockchain companies. There are many other platforms to choose from when it comes to buying and selling Cryptocurrencies. Most of them act as a monetary instrument to change fiat currencies into Crypto. But most of them only offer the most liquid of cryptocurrencies like Bitcoin, Ethereum and Litecoin. Coinbase, Poloniex, Kraken, Bittrex, you name it, were all unique in their own way. They were the early pioneers of the Cryptocurrency exchange business, but were flawed and couldn’t handle the influx of new customers that were in the hundreds of thousands per day. A simple search of any of these exchanges, reveals complaints and people having their funds frozen in the thousands. Its a scary sight to behold. As a beginner, this would be a turnoff. It became the world’s most active Crypto exchange according to CoinMarketCap. With over a billion dollars of Crypto traded in 24 hours. It could handle over 1.4 million transactions per second. Lags can cost serious money to traders. With Binance, it wouldn’t happen. 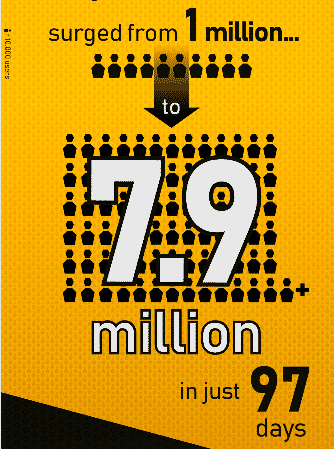 It also allows them to handle over 7.9 million users. That is bigger than the population living in Hong Kong. Reputation: It attracted over 250,000 users in just under an hour of reopening. That’s because they are steadfast in their security. Like any other exchange, hacks and DDOS attacks are part and parcel of this space, Binance is fast and quick it weeding out and stomping on sophisticated attacks. It supports over 120 different tokens and coins, works with over 100 different wallets and over 240 different trading pairs. They’ve received over 5000 coin listings but have only approved about 3% of the projects based on strong credibility, user base and liquidity. That means, you will not be able to trade a relatively new token if you’re on another exchange platform. You can do so with Binance. Binance coin: It does has its very own blockchain unlike other platforms. The BNB or Binance coin offering is unique to his platform and allows his users to settle their fees at 0.05% if they hold on to BNBs. The Binance Coin is a good long term buy looking at the way the business is growing. Investors get a cut on their fees as well as they could just profit by just HODLing on to the coin. If you trade a lot, this is a very good incentive which will be absent in other trading platforms. 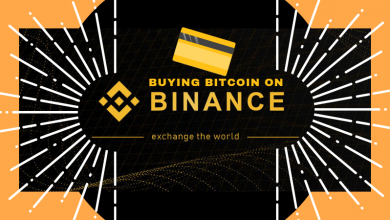 The affiliate program is one of its many ways you could get involved even if you don’t want to use any of your money to buy cryptocurrencies, you could earn them with Binance as well. Most platforms just give you a $10 bribe for bringing them a livelong customer. Binance ain’t that stingy, you can earn as much as you can simply by inviting your friends to sign up through your link, You will receive 50% of his/her trading fees as commission in real time. Join the Binance Referral Program here. How to participate in the Binance Referral Program? While Binance is extremely safe so far, I personally wouldn’t keep my huge earnings and profits on the platforms itself. Always be paranoid and Keep it tucked away in your Ledger Nano S.
* Insider secret* As a small token of appreciation for signing on to Binance through my link. If you haven’t here it is. The commission you receive from Binance for signing up referrals is 20%, but if you buy BNB, Binance coins, and hold 500 BNB or more, your commission rate DOUBLES to 40%. I will also send you this free magazine issue and an additional 3 months free subscription to the ThinkMaverick Magazine right here. 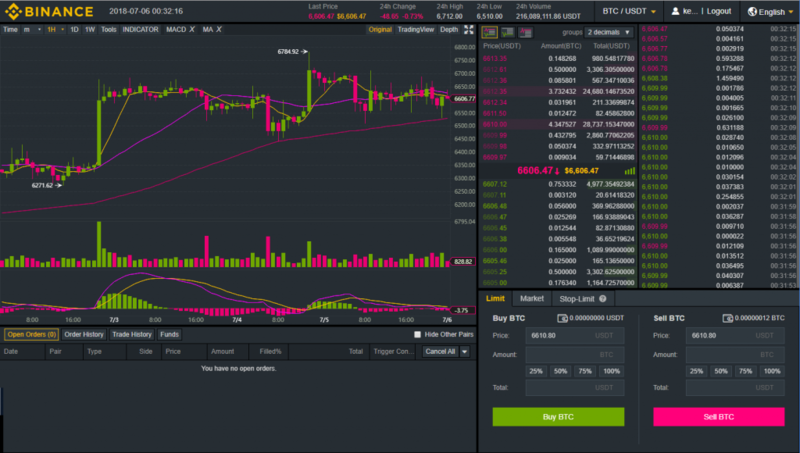 As I said previously, one of the best parts about Binance is its dashboard interface. Its extremely easy to navigate, just follow the onscreen instructions and point, click and enter. This simply step by step guide will show you exactly how to register an account in just 15 minutes tops. What you need if you require more funds to work with is to submit your Photo ID, but that is not required at all. And you can withdraw up to 2 BTC a day which is a lot for most folks. 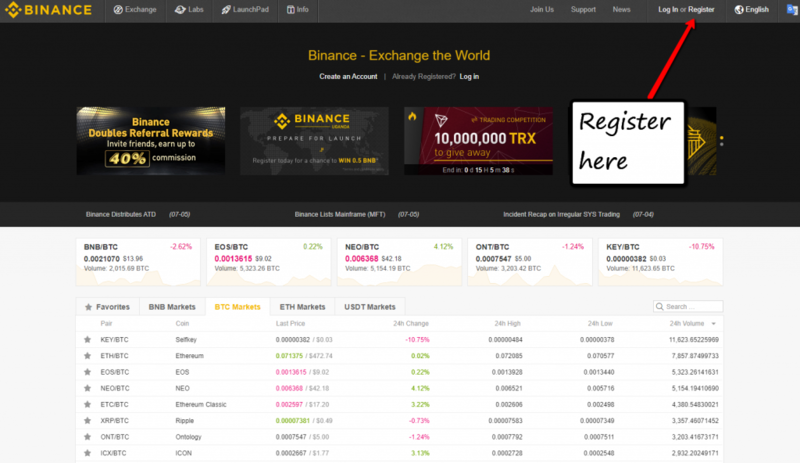 Click here to get to the exact page of Binance exchange login you need to get started. 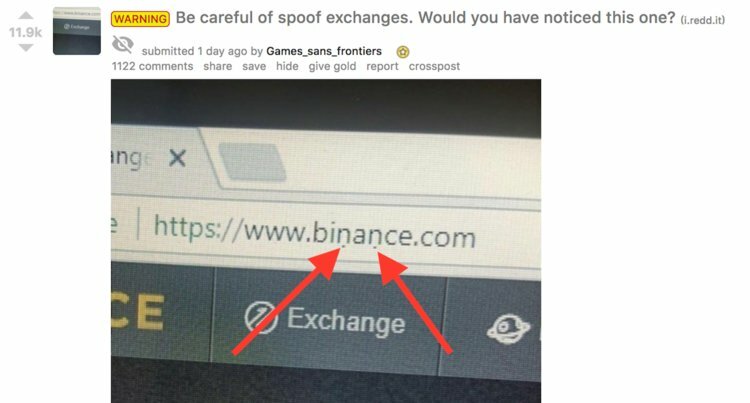 Major key, don’t fall for any phishing traps that look pretty much like (binance.com) with the exception of 2 dots at the bottom of two characters, stay focused. These predators are playing tricks to your visual perception. You could ensure the websites are “secure”, but just to be extra paranoid, install an Alexa Traffic Rank Extension/Plugin to check their traffic rank. You will then be taken to this page simple lead catching page where you will need to enter the details. Binance requires one capital letter. If you’re going to transact alot of money, ensure your password isn’t the same with any other platforms or websites. After you fill out your information and click register, you’ll be presented with weird maverick kind of verification puzzle. This is to ensure you are a human being and not a bot trying to create another duplicate account. Its simple, just slide the slider to fit the missing puzzle piece and viola! You’re human. Then fill your details and you will be presented with another puzzle to solve. 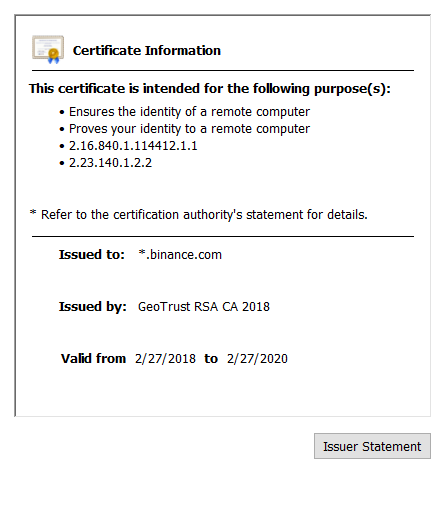 By not enabling 2FA (Factor Authentification) you are making it easy for hackers to access your funds in your account. This has become the number one rule for opening trading accounts for cryptocurrencies. To set up 2FA, click the “Google Authentication” button on the left hand side. This is a crucial step because as you login with your password, you will be presented with another security verification that requires your mobile phone access to enter a specific code at any one moment in time. This is a simple but an extra added precaution that enables your access to be air tight for everyday people. Once you have downloaded the app, open it. Then, return to your Binance page. Pay attention to the following details. Backup Key – Write down this code on a piece of paper, somewhere you can easily access on at home or on your work table. 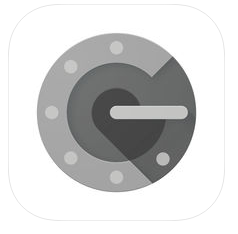 This ensures that you have access to your account in case you lose your mobile phone. 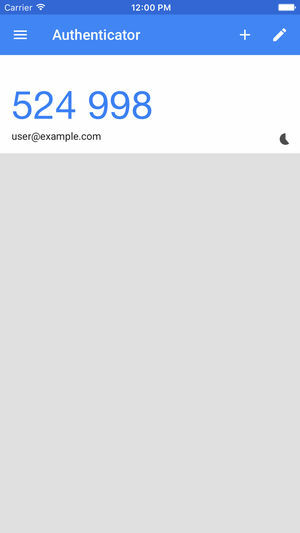 You can then enter your login password, then check the 6-digit code displayed in your Google Auth. app. You can now securely login to your Binance account with peace of mind. By using 2FA, the Google App will give you a code that changes constantly at every ninety second interval. 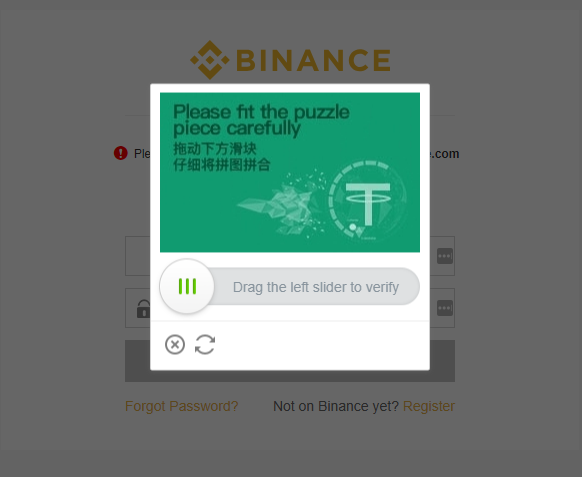 When logging into your Binance account each time, simply open the app on your mobile phone, then enter the 6-digit code displayed on your device. And you will be granted secure access. Nobody would be able to discover what code is it each time. Just be sure that you do not store your backup code on your computer in case your computer has malware or hijacked, they would be able to access your backup code which they can then use to login without your mobile phone. Let’s now dive into depositing your first Bitcoin into your Binance account…. Remember, Binance is a Crypto to Crypto exchange only, and to be able to trade them on Binance, you will need to deposit some BTC/ETH/LTC into your account. If you are looking to buy a sizeable amount of Bitcoin in your country, you can check out this International guide here. First navigate inside your Binance account to the upper right hand corner【Funds】→【Deposit】→ Click and Choose BTC → Copy the deposit address. Go to Changelly.com and enter the amount of BTC you would like to purchase. Check all your details before confirming and making your payment for your BTC! Now to clarify, this address is like your banking routing number for Binance. 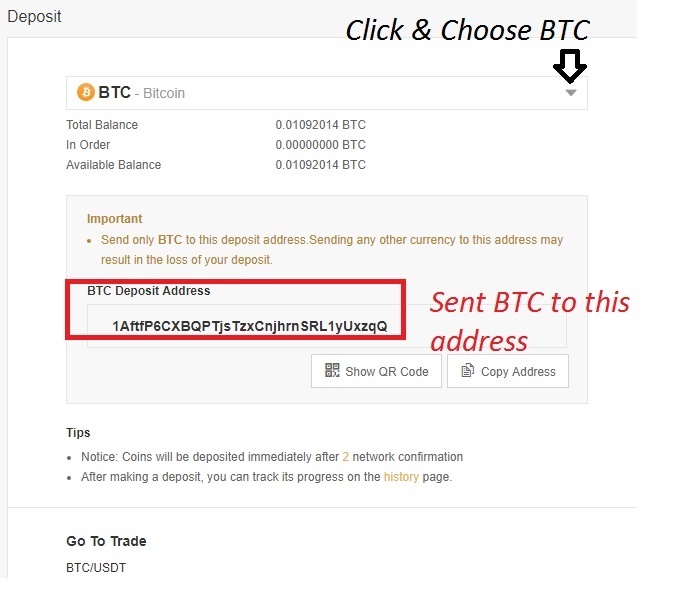 The address is where you will receive (“deposit”) inside your Binance BTC wallet. Each Crypto you choose, has its own wallet address. You account will also create new BTC addresses each time you make a new transaction as a privacy measure. 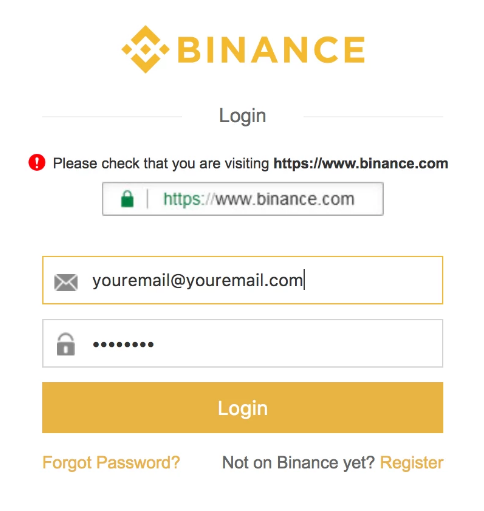 Don’t worry, you don’t have to memorize each address, the system does this for you and associates all of your address under your Binance account. As long as you have the backup key, you have the keys to your safe. That is the beauty of crypto. Each coin you own on Binance has its own wallet. You can use them to send or receive your valuable coins at any time. You should always do your own research before deciding which coins you want to trade. I recommend looking at market sentiments over at twitter and also on Coinmarketcap to get an idea of recent developments, news and price action for the coins you plan to buy. 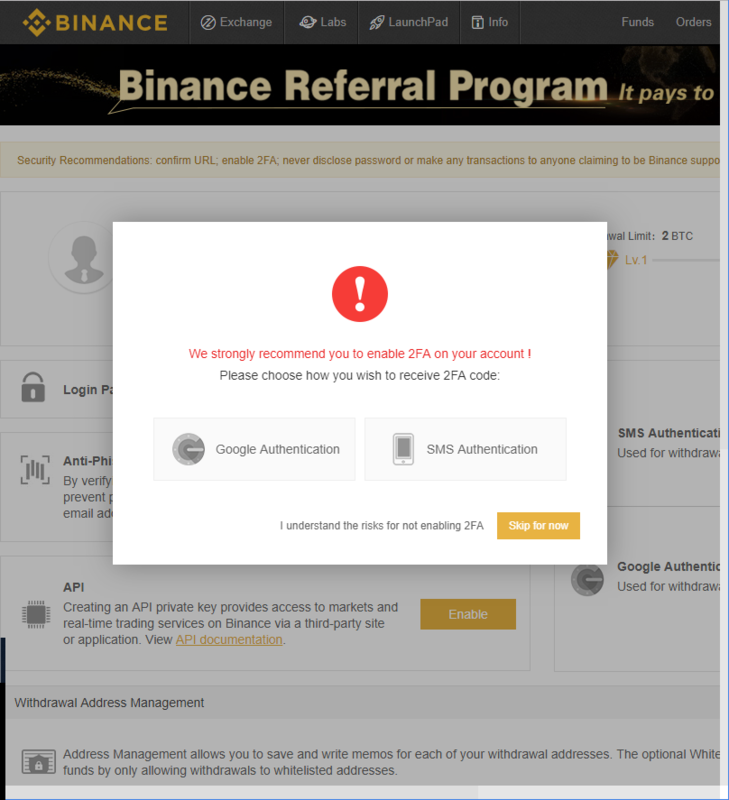 If you access your Binance account for the first time, you will notice the two different options you have for your exchange interface. Basic or Advanced. To me, both are the equally complicated the first time I came across. I never traded on any forex or stock market before, so all this was pretty new to me at that time. If you have a background in trading, you should be able to use some of its advanced features. To those like me, bear this pain with me as I bring you on a guided tour behind my dashboard. … clicking on the “Basic” tab will take you here. Don’t be intimidated. The basic view may look complicated at first, but is simply just presenting you with all the information you will need to justify your buying and selling decisions with just two simple buttons. Prices are on your left with the graph at the epicenter along with your buy and sell boxes. Then the trade history is all on your right, you can take a look at what the recent trade prices were right here. If you’re seeing more than you can digest, its just a case of paralyses by analysis because once you get the hang of it you’ll realize its very easy to use and simple to read,. It uses a dark theme that may help reduce the strain on your eyes if you’re a day trader spending 12 hours a day looking at price movements. 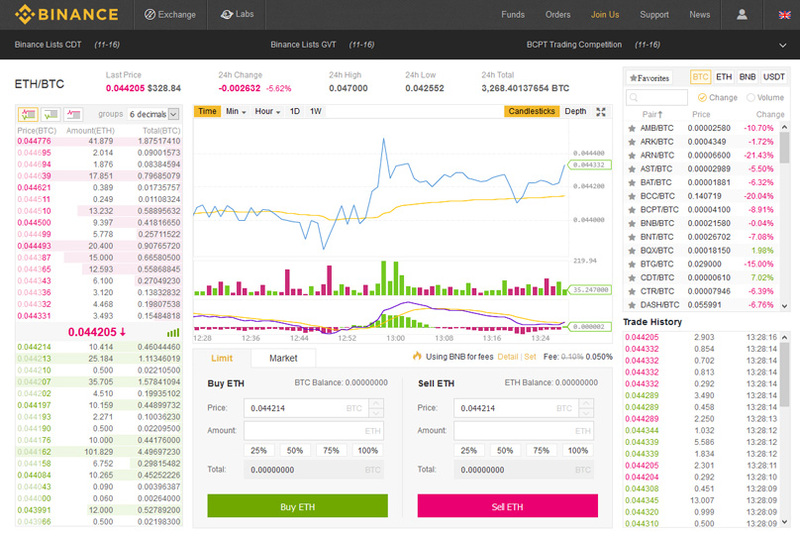 The trading graphs are more prominent and the prices are all displayed on your right. Eventually you’ll find both are just similar. For this example, we will be using the basic theme. On the right hand side of your screen you will find all the cryptocurrency pairs. Choose a Favorite pair to trade in or do a simple search of your coin’s three letter code. Let’s say you want to take some of your Bitcoin and buy EOS. Type in EOS (three letter code) into the box under ‘favorites’ in the top right hand corner. After you click on it, your left hand column will now show prices of EOS that traders are willing to sell at in the top half in red and the bottom will show the prices that they are willing to buy at in green. The middle shows the recent sale price. 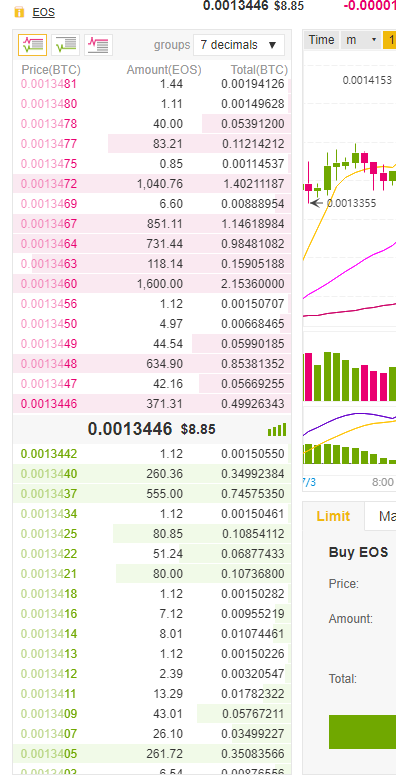 As you place a buy order, use the box with the green button to enter a price point you wish to purchase EOS. You can click on any of the prices in green to add your price order to the box. Manually entering a lower price point will see your position added bellow the pecking order with the amount of coins you want. Clicking on 25%, 50%, 75% or 100% is a quick way to decide how much of your BTC you want to use to purchase EOS. Once you click on the buy button, it will show beneath the buy box under the “Open orders” section until it is filled. It could get partially filled until the total amount gets filled. This is what I love about Binance. It’s a piece of cake. Its all about precision, liquidity and the quickness of it all. Binance charges a trading fee of just 0.1% on the value of a trade which is extremely competitive. It gives its users an added cost advantage by incentivizing them with the BNB coin by reducing your fee in half (0.05%). Whats more, It’s free to deposit coins into your Binance account. Of course, when you withdraw there is an added fee which depends on which coin you choose to do so. Binance is hands down the safest and most liquid Crypto exchange I have ever come across. It certainly isn’t the easiest to use, but has appealed to many by becoming the most accessible trading platform for anyone around the world. 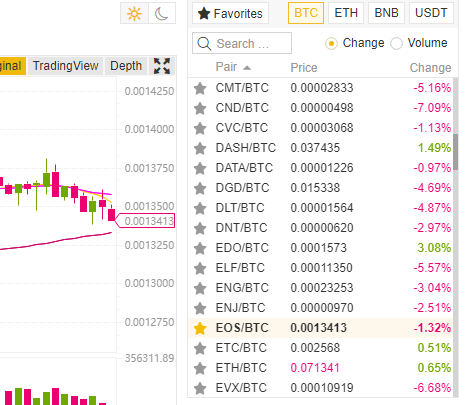 You can be certain that if I were to find a coin that I like, I will first try to find it here on the Binance exchange. While Binance is still accepting an influx of new users at the moment. At peak times, just like last December, they stopped accepting new applicants when there were over 100,000 people trying to register all within a day. 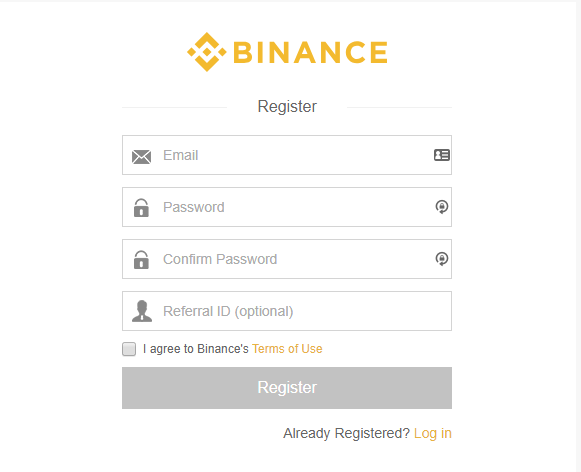 So It is wise to first register an account to keep your options open, I recommend doing it now by registering a Binance account right here even if you’re not using it anytime soon – having a Cryptocurrency trading account gives you the option of buying into Cryptocurrencies which will be ubiquitous in the near future. 20 years ago, nobody thought anyone could do business and make money on the internet. Today its so common that even kids on YouTube can try and make a professional career out of. Don’t get left behind this time. Learn about Bitcoin, the technology and why it is democratizing money. 2 Factor Authentication is a must! Store your valuable cryptos in a Ledger Nano S.
Is it safe to put my bitcoin on Binance? After trading, i just leave my profits there. How do I secure my coins? How is the withdrawal process like on Binance? Are you talking about withdrawing your cryptocurrency? If your crypto, just get your wallet receiving address and enter into your Binance withdrawing section.